More than eighty percent of the worlds rough diamonds are traded within a single square mile known as the Antwerp diamond district. This network alone turns over 54 billion dollars a year through four main trading exchanges catering brokers, cutters, dealers, polishers and everything in between. With that in mind It’s no surprise that the diamond industry has often been criticized for being centralised, outdated and unwelcoming to regular investors. All that however could soon change thanks to CEDEX, a blockchain based diamond exchange that will transform diamonds into a publicly tradable asset open to everyone through their certified diamond exchange. In short the end goal of CEDEX is to bridge the gap between the traditional diamond industry and the more innovative financial markets. The startup is tapping into a growing sector of the Blockchain industry called “tokenization” by transforming physical diamonds into digital assets that can be transparently represented on the Ethereum Blockchain. In doing so these assets are not only made more verifiable to sellers and buyers but more liquid opening them up to a wider global market where anyone can trade the quickly and easily through the CEDEX exchange. One of the main benefits being of tokenization is fraud prevention. CEDEX aims to tackle this with a Diamond-Smart Contract representing a diamond’s ownership, gem composite and historical trading information which can be publically verified by anyone on the blockchain. 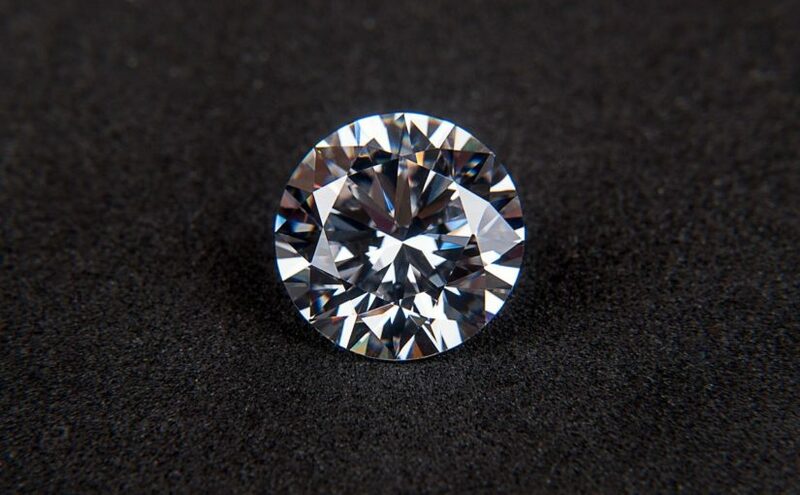 Fungibility across the Diamond industry is another key area which the startup aims to tackle due to the problems of valuing gemstones. Gold and Silver for example are much more fungible as one gram is equal to any other gram whereas Diamonds tend to lack a trustworthy metric that can be determined to value a given stone. CEDEX hopes to solve this problem by applying the DEX algorithm and creating a smart-contract that represents a geologically validated asset and fungibility mechanism that is created from the GIA ID, register wallet, historical transactions etc. A proprietary algorithm that evaluates and rates the Diamond-Smart Contract market price, allowing “non-experts” to confidently trade in diamonds. A Diamond-Smart Contract representing a diamond’s ownership, gem composite and historical trading information. A trading platform uniting Diamond-Smart Contract owners and traders. A new cryptocurrency allowing traders and cryptocurrency holders to buy diamonds on the CEDEX.com exchange. How does CEDEX help sellers? The CEDEX platform opens up the selling opportunities of gemstones to a global market by simplifying the process through a decentralized exchange, the process starts with the seller uploading the GIA certificate of the stone, this is then automatically analysed to create an accurate price. Once the gemstone is listed on the exchange any potential buyers enter into a smart contract agreement with the seller. This allows an automated transaction to occur which prevents fraud by either party. The CEDEX platform utilizes the exchanges native coin called CEDEX coin which is used to perform transactions on the platform such as buying, selling, insuring and transporting the asset.